BOBA VAPORS There are 2 products. Taro blends e liquid sweet and nutty, vanilla flavor of the taro root into a silky, bubbly, boba milk tea blend, with results that replicate the popular beverage exactly. 30ml Comes in 0, 3 or 6mg of nicotine. 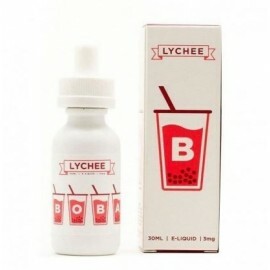 Lychee e-liquid blend sweet, juicy lychee fruit with a traditional boba milk tea, plus a splash of clean, crisp green tea. 30ml Comes in 0, 3 or 6mg of nicotine.